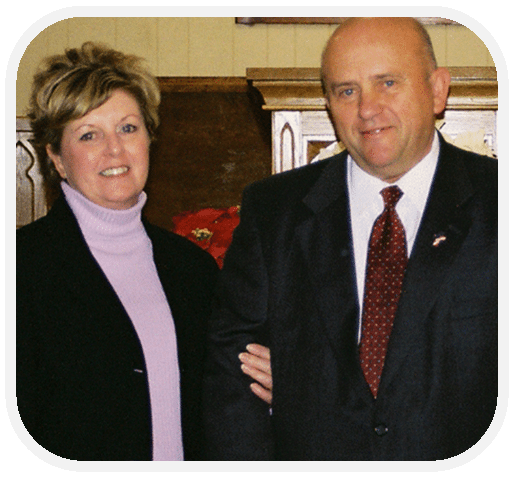 Jim and Terry are excited about their service with Armed Forces Baptist Missions. They are dedicated to reaching Veterans with the Gospel of Christ. Currently they are ministering reaching Veterans and their families in Philadelphia. They were the founding directors of the ministry at Fort Dix/ McGuire AFB/ Lakehurst Naval Station. Jim was saved in 1991 after his wife was led to the Lord by family member and she encouraged Jim to visit church. Jim attended Bible college and then served as a Christian School Teacher, Principle and School Administrator. He is a faithful soul winner and is always trying to help ministries in any he can. Terry was led to the Lord by a family member and is a faithful servant. She along with Jim raised three beautiful daughters who are now married and serving the Lord. She is an example for our heroes’ wives to follow. God calls AFBM missionaries to serve in unique ways around the globe. Maybe He is calling you to have a special role in Jim and Terry’s ministry in Philadelphia. Please pray about partnering with them through prayer and/or financial support. Contact the Maddens to learn more about their ministry.